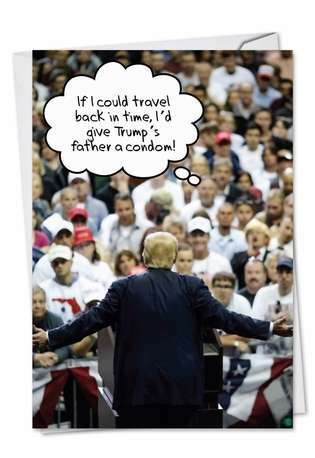 Cover Reads: If I Could Travel Back In Time, I'd Give Trump's Father A Condom! Inside Reads: Time To Have A Happy Birthday! 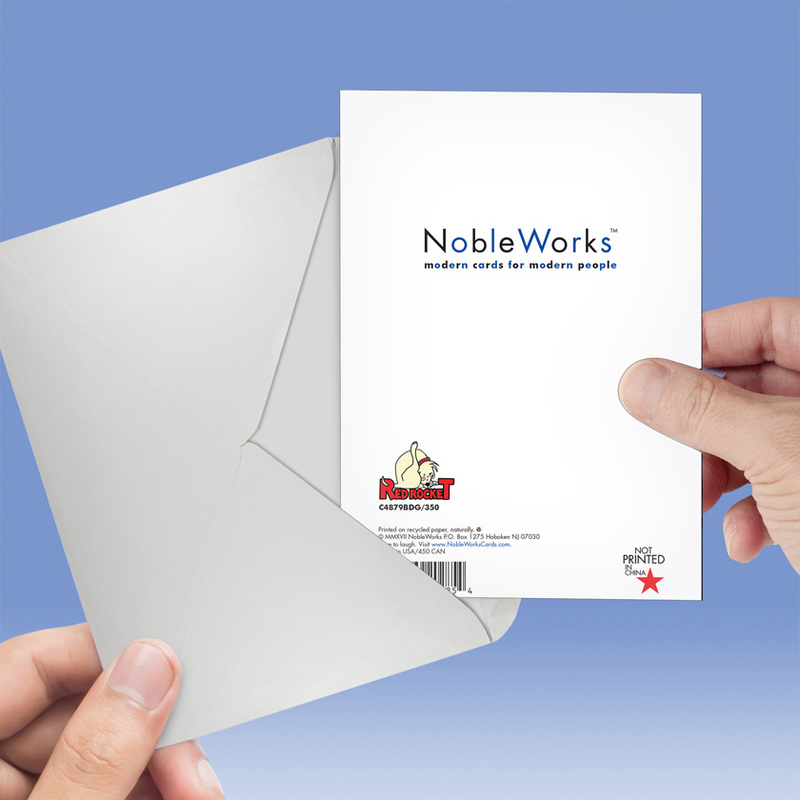 At NobleWorks Cards, we don't care who is in the White House. We're happy to make fun of him. 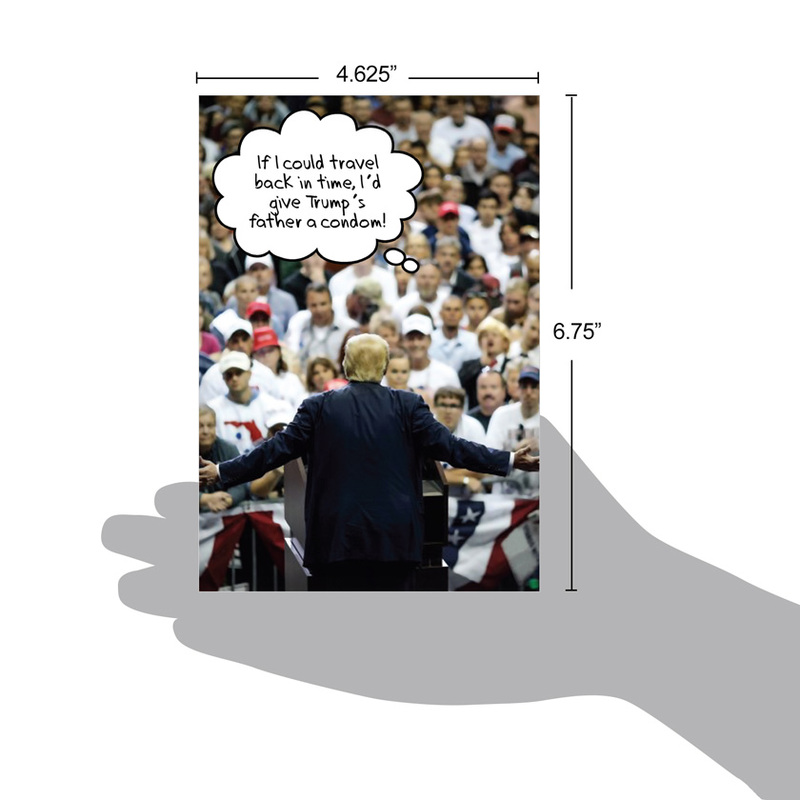 Until 2017, we picked on Obama plenty, and now it's the Donald's turn in this funny birthday card with Trump. As President Donald J. Trump delivers yet another speech, one retro-thinking man in the crowd muses on what could've been, politically prophylactic wise. The Trump's Father Birthday Joke Card is part of our Red Rocket line of rude birthday cards. 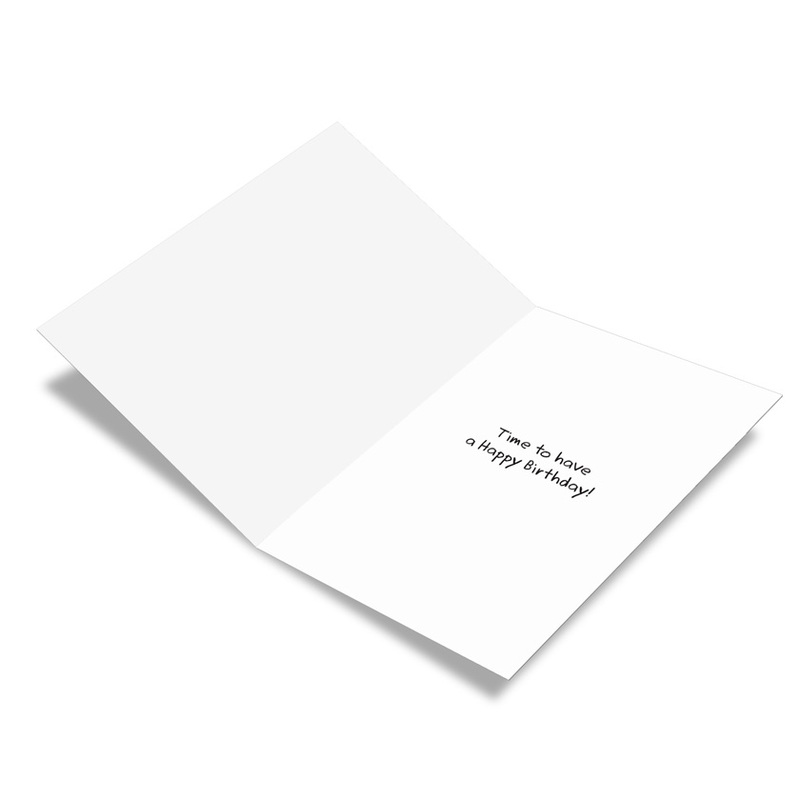 It's the perfect birthday card to give to the special celebrant who just wants to have a happy birthday without all the campaign speeches or fake news. After all, the Birthday Party is one party we can all agree on. 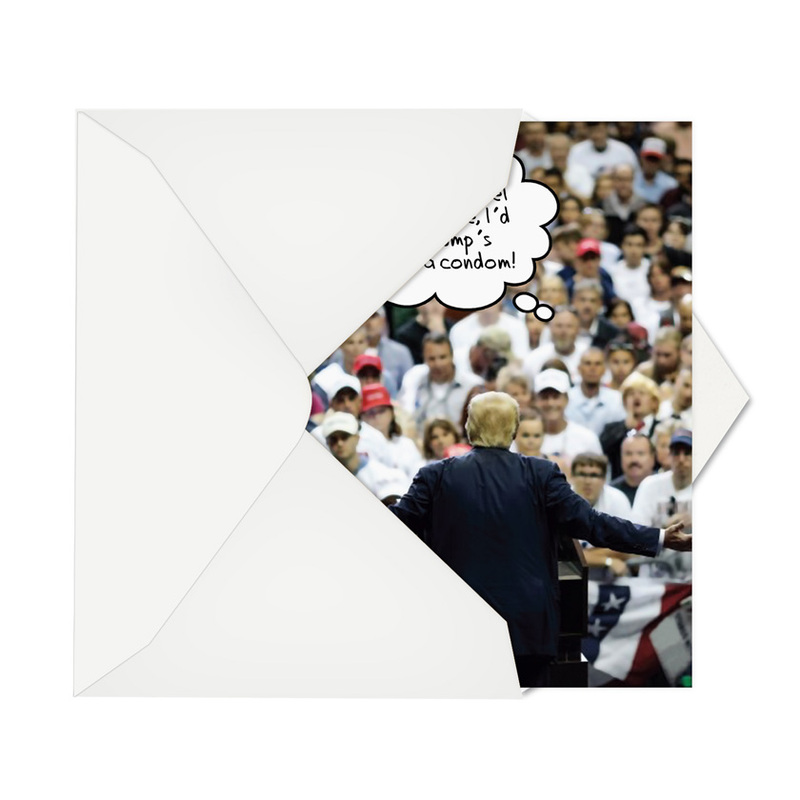 This card is printed in the U.S. for Republicans and on recycled paper for Democrats. See? We're bipartisan. It's available in bulk quantities, so you can boost the economy and save money in the process.